Whether it is an issue of dynamic cash-flow and its statement or long-term budget associated with your business, it brings heaviness to the business owner’s shoulder. Managing financial work of a business can get quite complicated, especially if you have multiple bank accounts, credit cards, and employees to track. For such situations and circumstances, may demand professional accountants who are expensive, and it takes the considerable amount of both, time and efforts to master few of the best accounting software. To relieve this pain, inDinero is a cloud-based financial tracking service, is designed and created. According to this company, its promise is to “put business finances on auto-pilot”. This service is similar in terms of style and substance to personal finance tracker like Mint.com. This Internet-based financial modeling tool continuously pulls in valued information from various bank accounts and credit cards, along with electronic payment service like PayPal. It creates a comprehensive view of finances related to your business, which is then served up on attractive Web browser dashboards which are quite easy to read. It has various budgeting tools based on alert functions, previous transactions, fiscal targeting tools and statistics such as cash flow, spending, and income. inDinero earns through the system of getting paid by the transaction numbers it tracks per month. The free account tracks just 50 transactions every 30 days, which may or may not cover your business requirement. So, for $29.95 per month, you can easily 500 transactions, while the plan worth $99.95 per months provides unlimited tracking. This budget tool does a fantastic job of automatically categorizing expenses by using the information that it pulls in from your accounts. When it comes to complex tasks, this accounting software can be easily imported to other accounting related software such as Excel or Quickbooks. You can share your account’s access to multiple employees as there is no limit on the user numbers. It also provides small businesses a quick, essential and useful financial intelligence. It can be set up in a fraction of an hour. In case you are not planning to use the service for longer-term, a swift financial check-up through free account may be a good thing to know about your business. inDinero’s feature set may be too limited for larger businesses as it is an analytical tool and not a complete accounting package. Yet, it is useful for having a basic understanding of any business’s overall finances, and its predictive feature can certainly provide the help you with broad planning. A negative thing to be noted worthwhile is that when it comes to detailed spending and budgeting control, the user will need to get them done elsewhere. Although the software can import different transactions from other services, still it needs user-defined labels to get a good grip over some company transactions. If you wish to get an accurate picture, then you have to plan on confirming and adding few entries manually or in some case upload your spreadsheets. With only 50 transactions which come with the free service won’t be sufficient enough for most of the small business and $30 per month is a lot when it comes to a financial analysis tool. Since this service requires access to your most secretly kept financial details, accounts, and passwords, issues of security do arise. The inDinero service can easily take out various financial woes of business. Sole proprietors, small business owners, and small shops may definitely appreciate for having an easy-to-learn financial service to get them up to speeds in their financial books. But in the case of bigger business, or even moderately sized, they will outgrow inDinero quickly. If your business or personal need is small, then you can certainly go for this software. Although you may have to sacrifice your financial privacy for this. Considering all the factors mentioned above, we have come to a conclusion that this software is worth a try for small business and personal use especially if the user is not obsessed with security concerns. 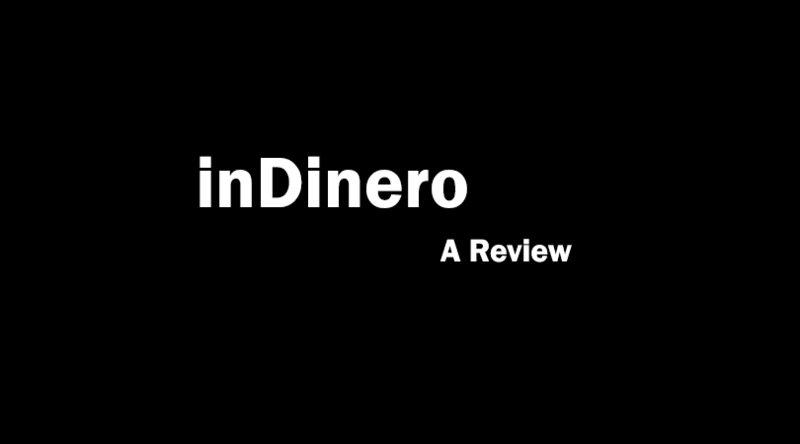 With this, we end our review of inDinero software. Go ahead and try it out. Do let us know your experiences with this software. You can leave your views, suggestions, etc. in the comment section below.